Color of product is white. Material is 50 lb. offset only, with white 12 point backer card. 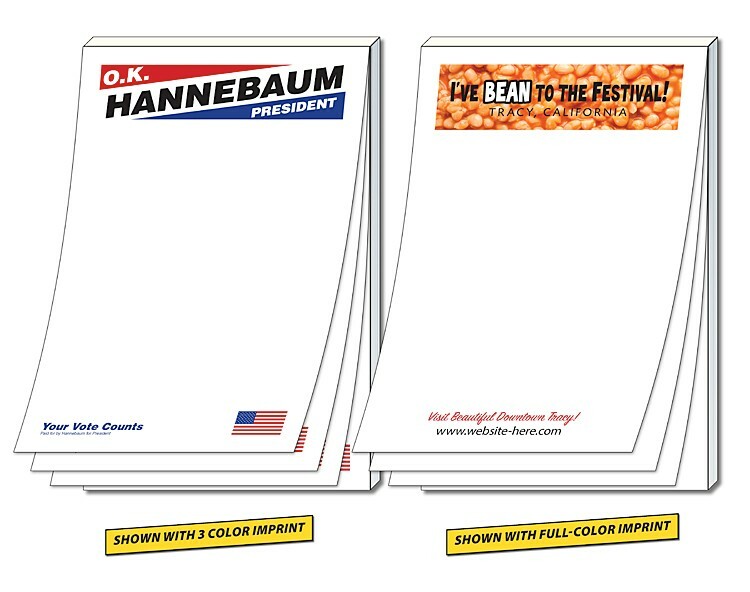 Standard pricing includes one (1) to four (4) standard spot colors or full four-color process imprint on one side. Full bleeds are not additional charge, but will result in a reduced sized pad. We do not recommend the printing of type smaller than 8-pt in size due to legibility. Exact color matches, metallic or fluorescent colors cannot be printed in full-color (four color process).